Agi (comes from Agnes) started her Yoga Journey in 2010 in Cape Town, South Africa. She always thought yoga was just sitting around meditating - until a friend of hers dragged her into a power yoga / vinyasa class. She was stunned how strenuous yoga can be. She was hooked and determined to learn how to do a headstand - and it didn't take her long :-). Since then she practiced yoga regularly until November 2014, when she went to Sydney for 2 months. She committed herself to a 30 day challenge - meaning yoga for a continuous 30 days. They say it takes 21 days to form a new habit - and for her, this is what happened. She seriously wanted to get deeper into yoga, so a few month later she signed up for a yoga teacher training. 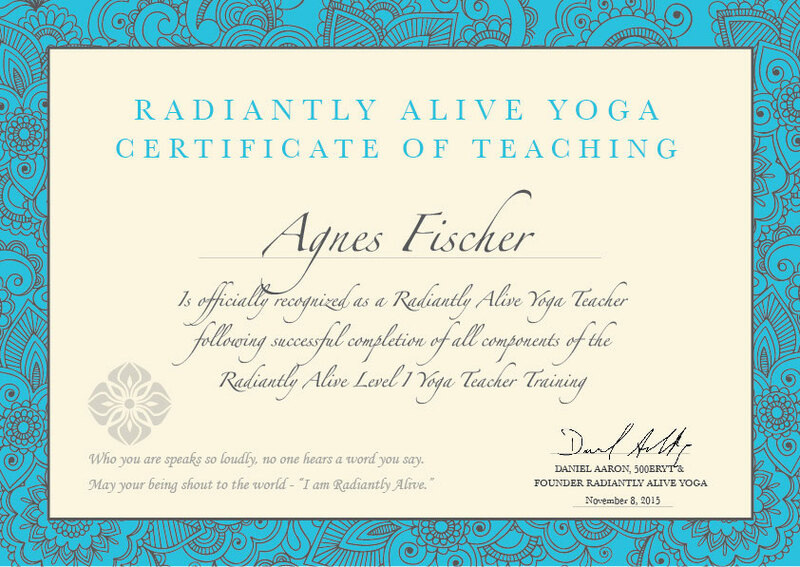 In October 2015 she flew to Bali for her Level 1 Yoga Teacher Training with Radiantly Alive lead by Daniel Aaron. One month later she had her certificate. Yoga became a part of her life. She says, she would miss something if she wouldn't be able to practice daily - even if its just for 5 minutes. However, being a full-time model since more than 10 years - being fit & healthy was always a big part of her life. She is into running, fitness, sup, hiking, climbing, mountain biking, snowboarding, swimming etc. - she loves being outdoors and in nature. A few months ago she also started studying Holistic Health & Nutrition. As a model she worked for major sports brands and appeared in many fitness magazines world wide. 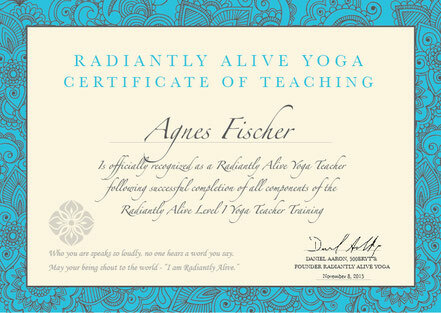 Agi is registered with YOGA ALLIANCE.